While this is standard practice for all commodities it is intriguing in the case of milk, because until relatively recently buying and selling of milk was not a common practice in many parts of rural Pakistan. The country forms part of a dairy-consuming belt stretching along northern and western India across the border into Punjab and Sindh. Fresh milk and milk products have always been regarded as essential elements in the diets of rich and poor alike, and the importance of these foods is emphasized in everyday language and social interaction. Families kept livestock for their own consumption of milk. But fresh milk goes off quickly. Milk that was surplus to a household’s own requirements would be processed into the more durable ghee (purified butter), and fresh milk as well as by-products such as lassi (buttermilk) were made available free of cost to neighbours and guests. It was also common to distribute milk and milk products among the poor and the needy. There was a moral economy in which households that were consumers were also producers, and those who were not producers were deemed to be deserving of free milk. 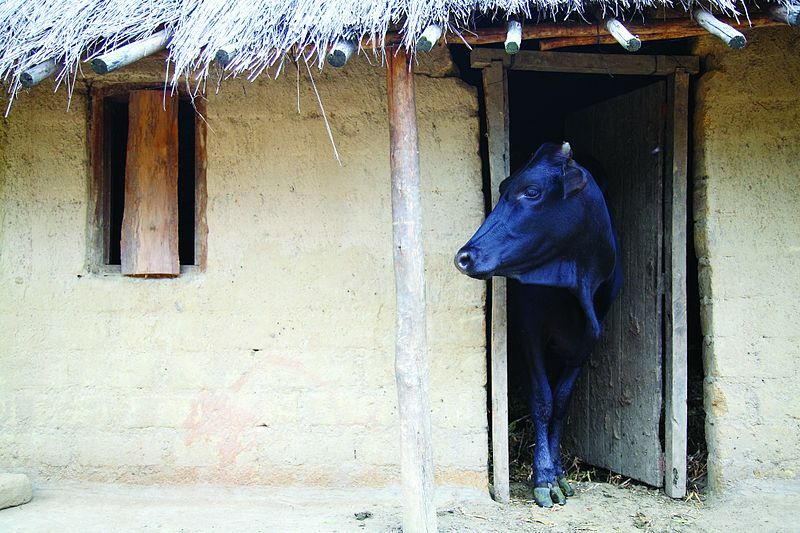 Cattle might be privately owned but milk and lassi were like public goods in an informal system of social protection. You can still meet older men and women in villages up and down the country who recall a time when the selling of milk was considered immoral. Traces of that moral economy are still present. Food insecure individuals often face hungry days when they have barely enough bread to eat. Many of them report that on such days they get by with milk or lassi from their neighbours. There are practices which defy explanation, from a profit-maximizing point of view, also in the production of milk. There are industrial scale dairy farms which regard male offspring of lactating animals as a byproduct which is to be disposed-off promptly to abattoirs. Traditional cattle-herding castes such as a Chang family we met in Badin during fieldwork for a Leveraging Agriculture for Nutrition in South Asia (LANSA) research study, by contrast, rear male and female offspring with great care. They ensure that half the milk produced by the animal is consumed by calves, regardless of its market value. The commodification of milk is, of course, a natural consequence of urbanization. While large-scale milk processing companies are the most conspicuous, they account for under a tenth of the market. The selling and buying of milk is no longer taboo for a majority of the rural and urban population alike. We have a hunch that when surveys like the HIES first began to report the high contribution of milk to the economy back in the 1980s, they imputed a price for a product which was not much traded. They were measuring in money terms something that was, for the most part, not exchanged using money. But now that the moral economy of milk has been replaced by the market as a mechanism for exchange, it is important to ask what will take the place of its social protection role.